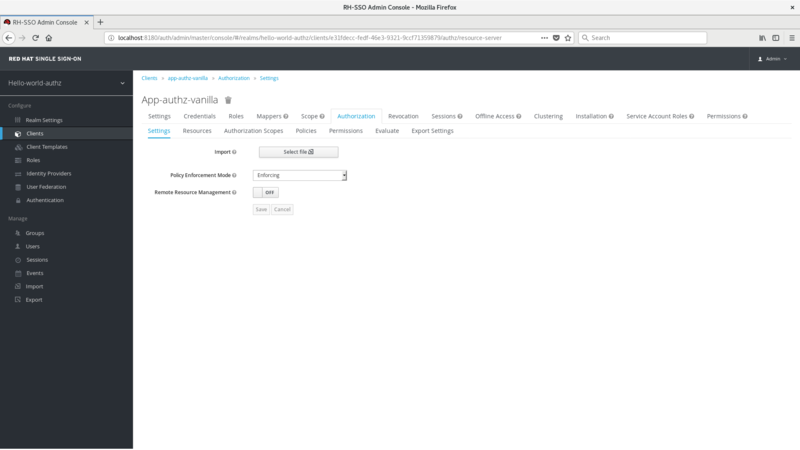 Before you can use this tutorial, you need to complete the installation of Red Hat Single Sign-On and create the initial admin user as shown in the Getting Started Guide tutorial. There is one caveat to this. 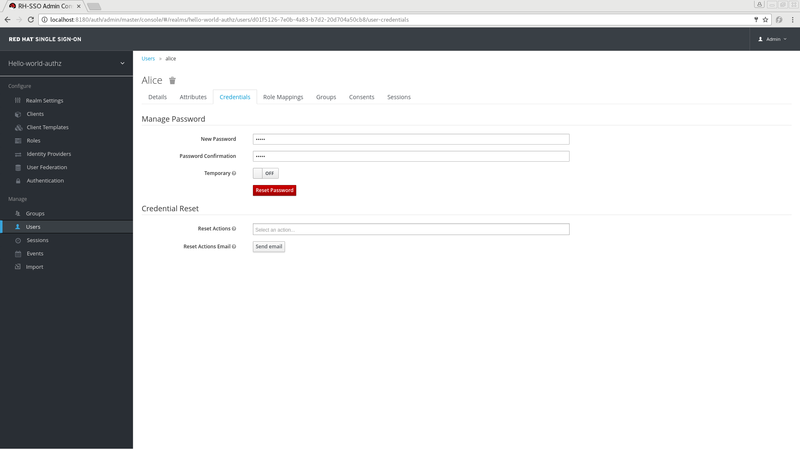 You have to run a separate JBoss EAP instance on the same machine as Red Hat Single Sign-On Server. This separate instance will run your Java Servlet application. Because of this you will have to run the Red Hat Single Sign-On under a different port so that there are no port conflicts when running on the same machine. Use the jboss.socket.binding.port-offset system property on the command line. The value of this property is a number that will be added to the base value of every port opened by Red Hat Single Sign-On Server. For more details about how to install and configure a JBoss EAP, please follow the steps on the Securing Applications and Services Guide tutorial. 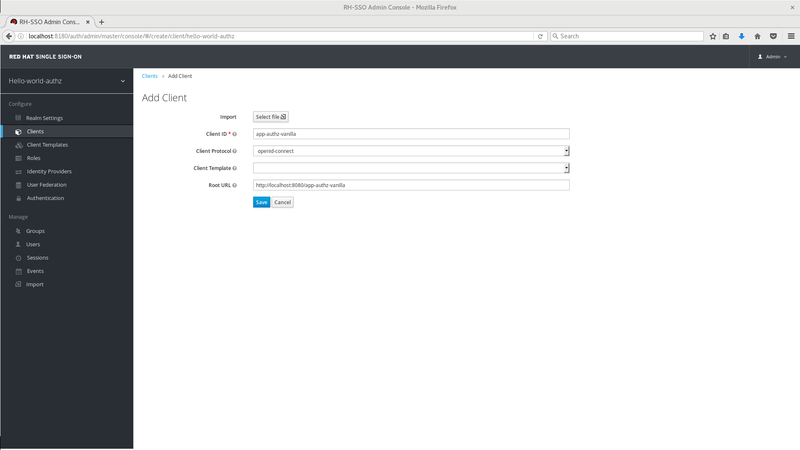 After installing and booting both servers you should be able to access Red Hat Single Sign-On Admin Console at http://localhost:8180/auth/admin/ and also the JBoss EAP instance at http://localhost:8080. The purpose of this getting started guide is to get you up and running as quickly as possible so that you can experiment with and test various authorization features provided by Red Hat Single Sign-On. This quick tour relies heavily on the default database and server configurations and does not cover complex deployment options. For more information on features or configuration options, see the appropriate sections in this documentation. Enabling policy enforcement in your applications. The first step in this tutorial is to create a realm and a user in that realm. Then, within the realm we will create a single client application, which then becomes a resource server for which you need to enable authorization services. Create a user for your newly created realm. Click Users. 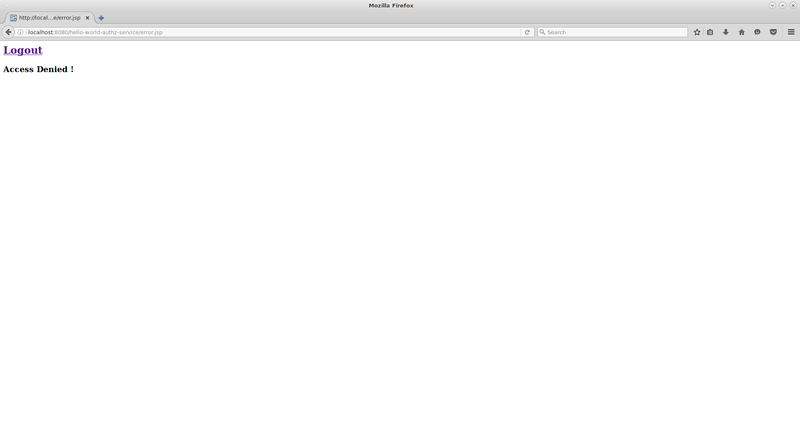 The user list page opens. 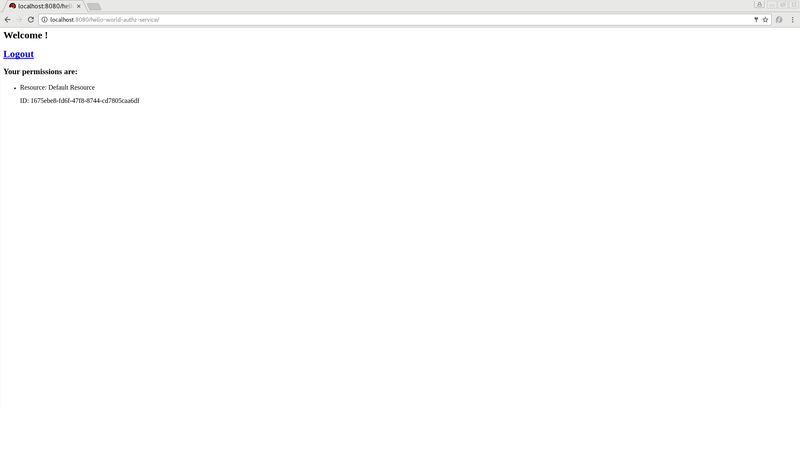 On the right side of the empty user list, click Add User. To create a new user, complete the Username, Email, First Name, and Last Name fields. Click the User Enabled switch to On, and then click Save. Set a password for the user by clicking the Credentials tab. Complete the New Password and Password Confirmation fields with a password and click the Temporary switch to OFF. Click Reset Password to set the user’s password. 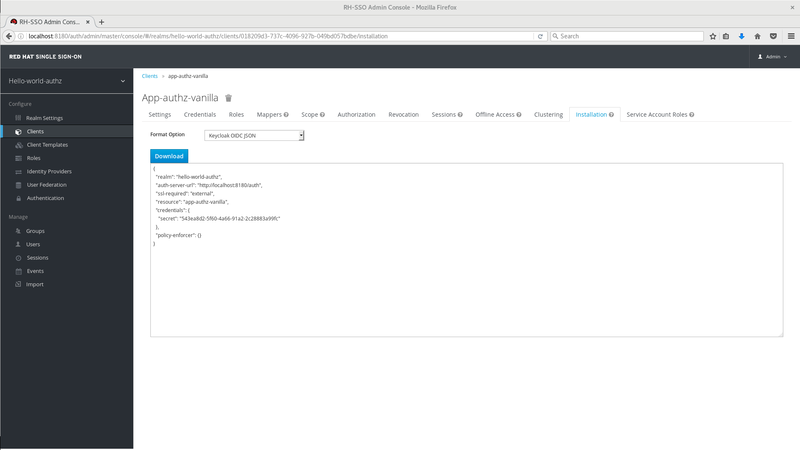 You can enable authorization services in an existing client application configured to use the OpenID Connect Protocol. You can also create a new client. Click Clients to start creating a new client application and fill in the Client ID, Client Protocol, and Root URL fields. Click Save. The Client Details page is displayed. On the Client Details page, click the Authorization Enabled switch to ON, and then click Save. A new Authorization tab is displayed for the client. When you enable authorization services for a client application, Red Hat Single Sign-On automatically creates several default settings for your client authorization configuration. For more information about authorization configuration, see Enabling Authorization Services. Now that the app-authz-vanilla resource server (or client) is properly configured and authorization services are enabled, it can be deployed to the server. You can obtain the code by cloning the repository at https://github.com/redhat-developer/redhat-sso-quickstarts. Use the branch matching the version of Red Hat Single Sign-On in use. Follow these steps to download the code. You must first obtain the adapter configuration before building and deploying the application. To obtain the adapter configuration from the Red Hat Single Sign-On Administration Console, complete the following steps. Click Clients. In the client listing, click the app-authz-vanilla client application. The Client Details page opens. Click the Installation tab. From the Format Option dropdown list, select Keycloak OIDC JSON. The adapter configuration is displayed in JSON format. Click Download. Move the file keycloak.json to the app-authz-jee-vanilla/config directory. This change specifies to the policy enforcer to redirect users to a /app-authz-vanilla/error.jsp page if a user does not have the necessary permissions to access a protected resource, rather than an unhelpful 403 Unauthorized message. If your application was successfully deployed you can access it at http://localhost:8080/app-authz-vanilla. The Red Hat Single Sign-On Login page opens. The default settings defined by Red Hat Single Sign-On when you enable authorization services for a client application provide a simple policy that always grants access to the resources protected by this policy. You can start by changing the default permissions and policies and test how your application responds, or even create new policies using the different policy types provided by Red Hat Single Sign-On. Now, log out of the demo application and log in again. You can no longer access the application. Let’s fix that now, but instead of changing the Default Policy code we are going to change the Logic to Negative using the dropdown list below the policy code text area. That re-enables access to the application as we are negating the result of that policy, which is by default denying all requests for access. Again, before testing this change, be sure to log out and log in again. Create a scope, define a policy and permission for it, and test it on the application side. Can the user perform an action (or anything else represented by the scope you created)? Create different types of policies such as rule-based, and associate these policies with the Default Permission. Apply multiple policies to the Default Permission and test the behavior. For example, combine multiple policies and change the Decision Strategy accordingly. For more information about how to view and test permissions inside your application see Obtaining the Authorization Context. In addition to the app-authz-jee-vanilla quickstart that was used as a sample application in the previous section, the Red Hat Single Sign-On Quickstarts Repository contains other applications that make use of the authorization services described in this documentation. The authorization quickstarts have been designed so that authorization services are displayed in different scenarios and using different technologies and integrations. It is not meant as a comprehensive set of all the possible use cases involving authorization but they should provide a starting point for users interested in understanding how the authorization services can be used in their own applications. Demonstrates how to enable fine-grained authorization to a Java EE application in order to protect specific resources and build a dynamic menu based on the permissions obtained from a Keycloak Server. Demonstrates how to enable fine-grained authorization to a Java EE application and use the default authorization settings to protect all resources in the application. Demonstrates how to protect a SpringBoot REST service using Keycloak Authorization Services. 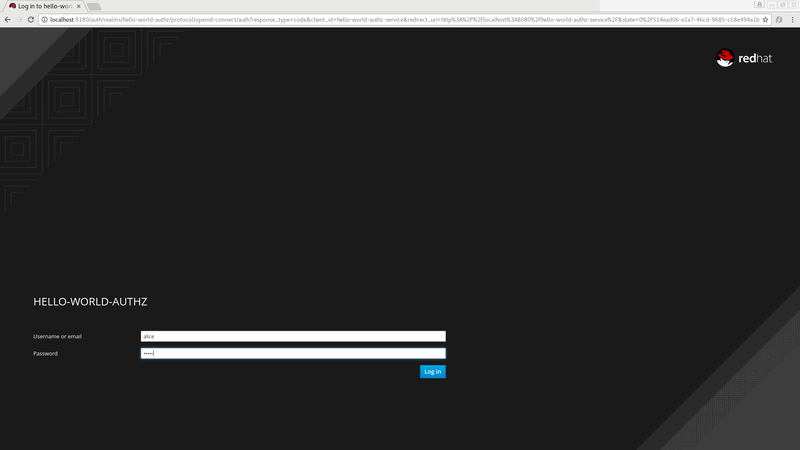 Demonstrates how to write a SpringBoot Web application where both authentication and authorization aspects are managed by Keycloak. A simple application based on HTML5+AngularJS+JAX-RS that demonstrates how to enable User-Managed Access to your application and let users to manage permissions for their resources.